I haven’t been to Layla’s in a very long time (maybe over a year), due in large part to it being located in the same parking lot as El Palenque. I tend to lean towards Mexican food when faced with such food dilemmas. Any who, the food has always been outstanding at Layla’s (see: yogurt plate and Yazoo pizza), but Tuesday night’s gyro sandwich was just lacking in taste. The meat was a tad dry and the sandwich needed more than just meat, Tzatziki sauce, and onions. The addition of tomatoes and/or lettuce would do wonders for this sandwich. Have you ever participated in a progressive dinner? There are many variations, but basically, you have drinks/apps at one restaurant, entrees at another, and desserts at a third spot. It’s a lot of fun and a great way to experience different cuisines, all in one evening. Last Friday night, we started out at La Terraza Rum & Lounge in Hillcrest with some fantastic mojitos, as well as a plate of yuca frita and a meat and cheese board. The mojitos, alone, make La Terraza a place worth checking out, but our food was just as impressive. The raspberry, coconut, and black spiced mojitos are all can’t-miss, and combined with the great food, and personalized service, La Terraza is a place that should be packed on a Friday night. Next, we hit Kemuri for our main course. I choose the Red Dragon Roll and an order of ceviche, the latter of which was a wonderful combination of squid, shrimp, and avocado lightly dressed in a spicy sauce. Service was great and especially impressive, considering Kemuri had a packed house. 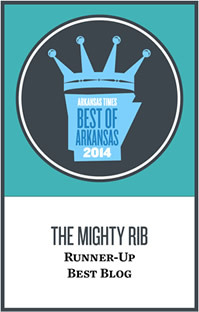 Kemuri proved yet again why it’s one of our very best restaurants in Little Rock. We finished the night off with desserts and coffee at Trio’s. I had a few bites of a deliciously rich peanut butter and chocolate cake and my tablemates partook in the tres leches. In the end, the night was a total success, with all three restaurants shining with regards to both food and service. Mt. Fuji gets almost no attention. That’s a shame because it’s really one of our better quick sushi-fix, hole-in-the walls in town. The spicy tuna roll was a hit, as was my pork ramen, and my kid’s chicken teriyaki. The restaurant isn’t fancy, and it won’t be the best sushi you’ve ever eaten, but the food is quality and an excellent value. Go to Honey Pies for a cup of coffee. I can’t speak to some of their “fancier” java creations, but a regular cup of pour over Leiva’s Coffee is outstanding. There’s just something so comforting about devouring six fried shrimp, a plate of fries, some toast, and a small bowl of soaked salad at Doe’s. 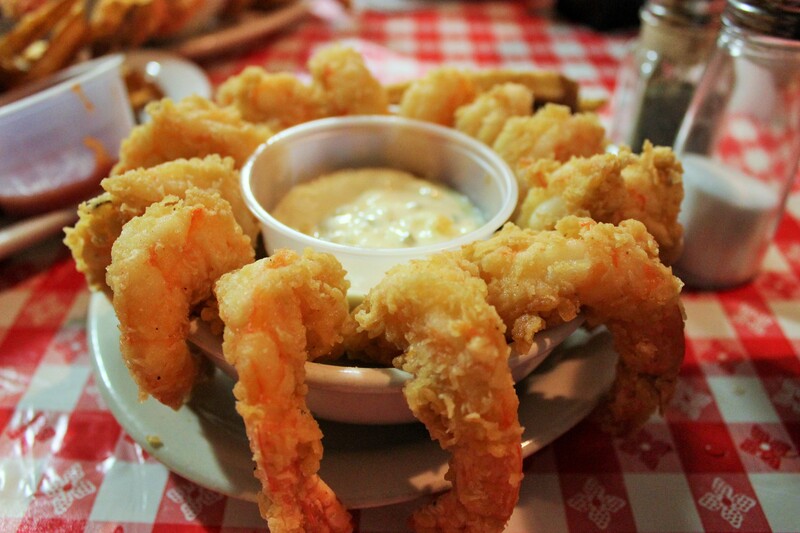 Sure, the steak gets a lot of attention, but I’ve always been a big fan of fried shrimp and Doe’s is my go-to spot for them. And that soaked salad! Did I mention the soaked salad? It was a mixed bag during yesterday’s lunch at Big Orange Midtown … the sweet potato fries were their usual awesome selves, but our order of truffle-garlic-herb fries were woefully salty, to the point where we just had to stop eating them. My Thai Chop with chicken was outstanding, and while I definitely prefer the steak that accompanies the salad, the chicken was also a nice option.